Originally designed for mooring ships, bollards are now a common sight in cities and parking lots as a means of directing traffic flow. However, bollards don’t have to be bland, they can actually be integrated into your establishment’s design aesthetic. While planter bollards contribute to green space, illuminated bollards provide a more surreal, or futuristic element, all while helping to safely direct traffic. Sometimes Futuristic. Sometimes Nostalgic. Always Visible. Bollards are critical for directing traffic without obvious traffic signage, but they also provide a lot of room for customization. 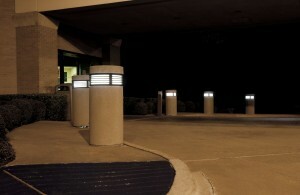 Illuminated bollards can provide a unique element to any establishment that is most active during the evening. Whether you want to convey a more futuristic, sci-fi impression, a twinkling sense of nostalgia or a star-studded scene of glitz and glam, illuminated bollards will do the trick. 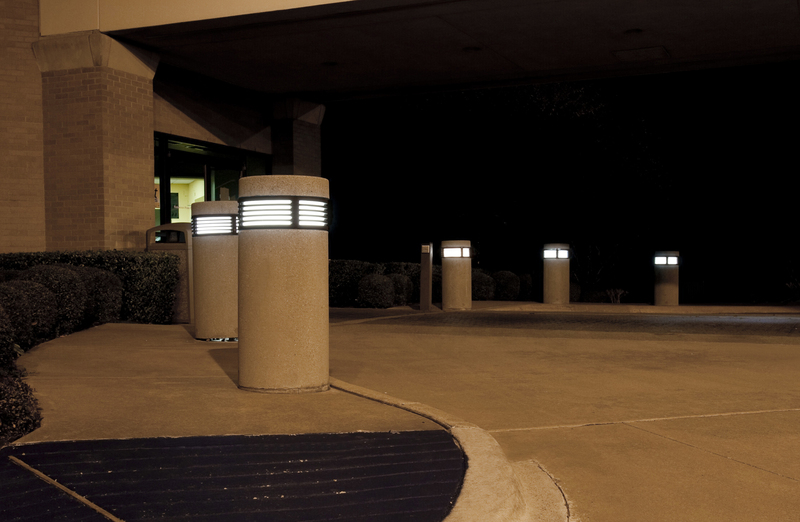 More importantly, illuminated bollards are highly visible to motorists, making the traffic flow at your late-night establishment efficient and safe. Architectural fiberglass, or GFRP is truly a feat of modern ingenuity. Not only is architectural fiberglass affordable and easy to work with, it is also extremely durable. Not every motorist is perfect, and any bollards are bound to wind up with a few scrapes and dings. However, unlike concrete that will crack and crumble, or stone that will chip, architectural fiberglass can easily absorb many minor concussions. Importantly, if it is visibly damaged, it can be repaired or replaced for a fraction of the price of more expensive building materials. Architectural Fiberglass: Weather Resistant. Time Tested. It is in the nature of bollards that they will be exposed to the weather, and all other manner of corrosives. Architectural fiberglass can stand up to all of the common corrosive agents that a bollard would come in contact with. Acid rain, smog, wind, flooding, architectural fiberglass will keep its shape where other building materials would corrode, dissolve or rot. Furthermore, architectural fiberglass has proven its longevity in the most trying of circumstances, and it will not delaminate or dissolve over time. Architectural fiberglass weather-resistant, and will not corrode or rot when exposed to the elements. Stromberg’s master craftsmen will work with you to fabricate unique illuminated bollards that are sure to impress. Architectural fiberglass is easy to clean, and it requires very little maintenance. Architectural fiberglass can handle extreme changes in temperature, and minor concussive impacts. 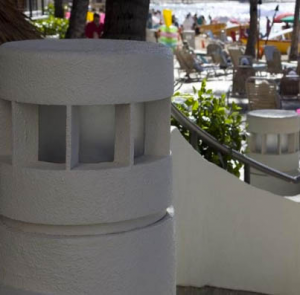 The artisans at Stromberg Architectural Products will work closely with you throughout the process to make sure your finished architectural fiberglass illuminated bollards are made perfectly to your specifications.